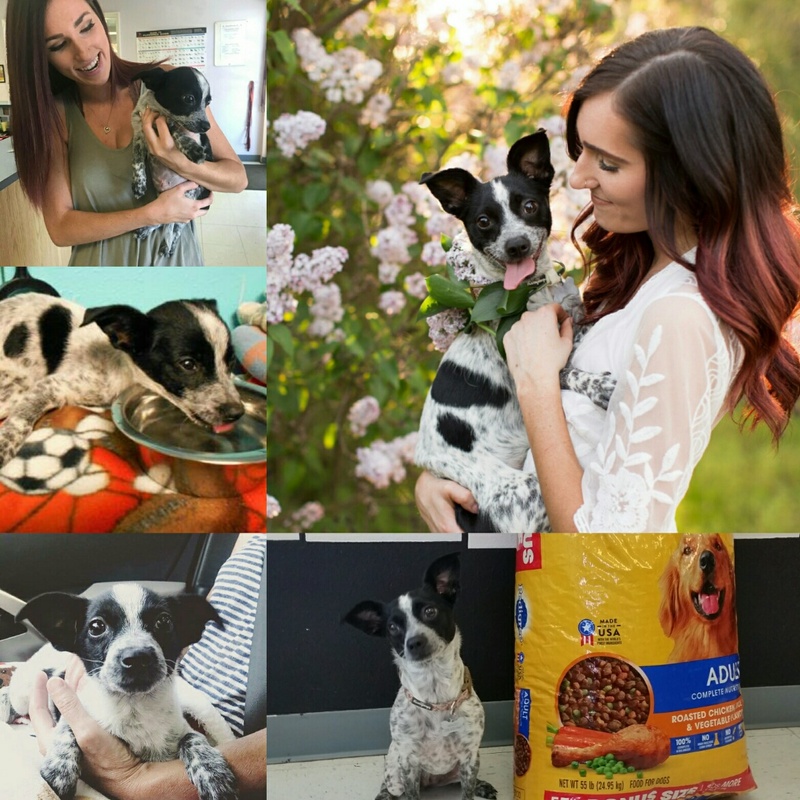 A special rescue pup came to visit the shelter this week and donated dog food to her fellow shelter pals. She has was rescued, adopted and is loved. Thank you Kali Bowen & Macey! "I had b een following the shelter's available dogs for a while but hadn't found one that I just knew from the picture that I needed her. When I first saw Macey (or Nezzy, as the shelter had named her) advertised on Facebook, I knew I had to have her. She looked like the sweetest little Yoda and had the biggest head for her body! I rushed down to the shelter on a Friday evening, only for them to tell me she wasn't actually available until the next day. They still let me see her, with only a couple minutes to spare before they closed. I knew from the minute they brought her out, that I had to come back and get her. The next morning, I got there right when they opened and made my home her forever home. 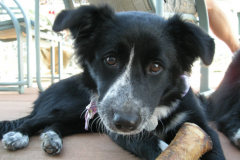 When the shelter received her, she was very malnourished and had a bad back story. She was a popular one, that several others came in to try to adopt when I was in the process of adopting her! Since then, she has been THE BEST dog I have ever had. Not only is she very smart, only had a few accidents in the house, knows who people are, named her toys so she fetches the correct one, she can sit, shake, lay down, and high five. Some of her favorite things are fetch, North 40, softball games, road trips, running errands, grandma's house, lazy days and lunch breaks with mom and SNUGGLES. She's a huge snuggler! I'm so lucky that she came into my life, I couldn't ask for a better dog. I can't imagine spoiling any other pup!!" We have not regretted one day with Lola Rae. 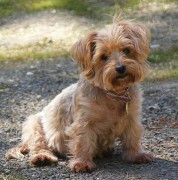 She is the perfect dog and we have the Lewis Clark Animal Shelter to thank for uniting us with the joy of our lives. I wasn’t sure how it would all work out on May 5th, 2012 when we adopted this little dog from the Lewis Clark Animal Shelter. We had two cats at home and hoped everyone would get along. This little dog very quickly worked her way into our home and our hearts and I have a constant companion. She is love, joy, kindness and kisses all in a bundle of fur. There is no way we could have know how much she would bring into our lives and I can’t even begin to tell you how much I love and care for this little dog. She is so sweet that we named her Candy. Here is a picture of my constant companion and best friend. We adopted our Chesapeake, Butter, from the shelter in 2005. He has been a wonderful addition to our family and we enjoy him every day. Thank you Lewis Clark Animal Shelter for providing affordable and wonderful life-long pets! I have a little update for you on Fred (now Dug! ): My dad came to visit from the UK over the holidays and they’ve both bonded so well, they are inseparable!. Dug is such an amazing dog, really calm, mild mannered and super loving! He’s really fit in here and we couldn’t imagine life without him now. Thanks so much for all the great work you do, here’s to an awesome 2013! 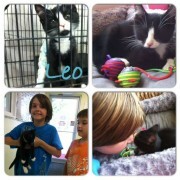 We love little Leo and are so happy to give him a forever home! This is the Montambo family. They adopted Kirby as a 5-6 month old pup back in December. He has grown so big and even sweeter! Today, his family adopted a little sister for him and their kids, Sydney the Lab mix. We are so happy for all of them! (The kids are not pictured). “Griffin” and his wonderful mommy Valerie Chapin stopped by to visit this afternoon. They are both doing great, looking great, and love each other very much. 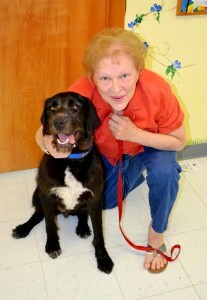 Valerie adopted Griffin on April 9th.